Chhattisgarh polls: Can BJP get a 4th term amid outcry over farm stress? 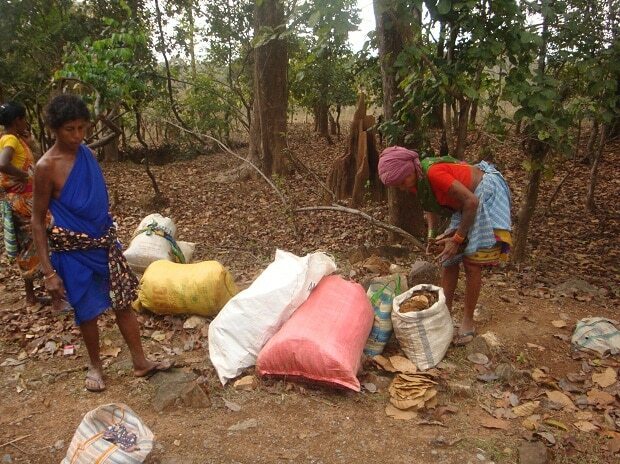 In the dead of night in February 2008, a police party stormed sleepy Takraguda village in Bastar district. It was not an anti-insurgency operation for which the region was infamous globally; the security personnel were in action against the villagers opposing Tata Steel’s proposed project. Hidmo Ram, the village sarpanch, along with a dozen villagers, was arrested and sent to jail. Takraguda, about 350 kms from here, was one of the 10 villages in Lohandiguda block of Bastar district that was identified for the 5.5 million tonne per annum green-field integrated steel plant. The steel major has inked a Memorandum of Understanding (MoU) with Chhattisgarh government in June 2005 for the plan. The company dropped the plan in 2016 after failing to get the land. The development was also linked with Tata Steel losing iron-ore mine that was allotted in Dantewada district to feed the Bastar plant. Following Naxal terror, the prospecting work could not be completed without stipulated time that resulted in the cancellation of mine allotment. Tata Steel required 2160.58 hectares of land required for the project. The company deposited Rs 72.09 crore with the district administration for paying compensation as it could not directly purchase land in the notified tribal areas. The Bastar district administration acquired about 75 per cent of the land and paid compensation of about Rs 42.07 crore to 1165 of the 1707 affected farmers. Hidmo Ram was among the 542 farmers who refused and did not give his land for the steel project. “Now I repent,” he said. The Congress government that came to power last month in Chhattisgarh had announced to return the land to the farmers. Those who gave their land are now the real beneficiaries. They got the hefty compensation that most of them used to build houses, purchase vehicle and other luxurious items. Now, they would get back the land. Since the local authorities had not taken possession, the land was still in the custody of farmers who were farming and selling the yield. Hidmo Ram, who is also the village head, said they spent a week in jail and faced hardship of police authorities. “We struggled, but the beneficiaries were those who surrendered,” Ram told Business Standard. The 542 farmers were now demanding compensation from the government, he added. The authorities are in a fix. For, there is no guideline to deal---whether to ask villagers to return the compensation money or give to those who did not accept earlier. “We are now concentrating to complete the modalities for land return,” said a senior official in Bastar administration. The issue of compensation money (which Tata Steel had asked to return) had not come up for discussion, he added. Of those who backed the project and received compensation, not a single farmer is in a position to return even 10 per cent of the amount. While for those who fought, the struggle continues.